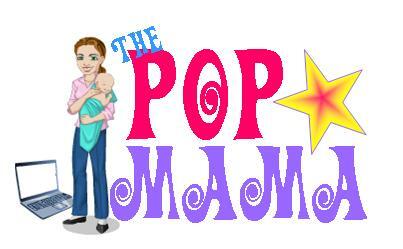 Pop Mama: Cruel and Unusual? Discipline decisions that put you in hot water. Cruel and Unusual? Discipline decisions that put you in hot water. At Cam's 15 month check-up, our pediatrician (who I adore) gave me a few tips on disciplining this age group and it basically boiled down to saying "No," "We don't _______" and keeping the child safe. A 15 month old doesn't comprehend the meaning of a "time-out" yet, but our doc said that at our 18 month appointment we would talk more about discipline ideas, including "time-outs." This was all helpful information for me because I truly didn't know what was appropriate for this age group. Turns out I was on the right track already because a combination of "No, no" and distraction was what I was using to keep my son safe. As time goes on and I have a little boy who needs true discipline, I will have to become more savvy with philosophies and techniques for raising a responsible and well-mannered human being. Until then I am going to follow my doctor's orders and take it step by step! Since I just experienced my first "how to discipline your child" lesson, I was acutely interested in the story of Jessica Beagley, an Alaska mom who videotaped disciplining her 7 year old son by forcing him to drink hot sauce and then putting him in a cold shower. 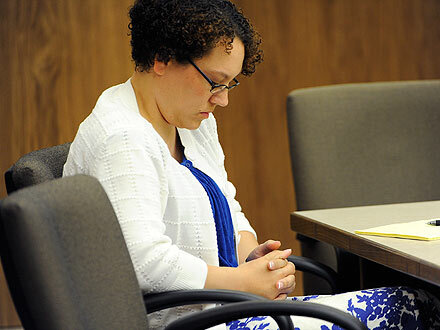 Last week, the mother of six was found guilty of child abuse and was sentenced to 3 years probation. To complicate the story, this mother was sending this videotape as an "audition" for the Dr. Phil Show on "Angry Moms." I think the show got more than it expected with this particular tape. Also, this poor kid was adopted from Russia along with his twin brother. A whole mess of issues with this story. When I was growing up I got a few spankings and although I don't believe in hitting my children, I don't feel that I was abused or that my punishment went above normal bounds. However, my parents never force fed me hot sauce and then made me take a humiliating cold shower. The fact that this mother thought it was okay to do this, much less videotape it, shows that she is clearly ill-equipped to be a parent to six children. Was she fame-seeking or just plain out of her mind? I remember reading stories of the Warren Jeffs polygamist cult and how the parents would repeatedly dunk the children's heads into water if they were crying to teach them to be quiet and it sickened me. Every family has its own philosophy on discipline, but there are acts that cross the bounds, and force feeding hot sauce is one of them. I personally am not a fan of spicy foods or hot sauce and have actually choked when I accidentally ingested some...so being forced to have some would probably send my body into shock. I really feel for this child. I am sure that there are people out there that would not consider what this woman did to be child abuse and personally I am worried for their children. To come up with a creative punishment is not to figure out what is going to physically hurt the child most (without leaving a mark) or embarrass them -- it is to come up with a consequence that works for the situation. For example, a child who mouths off may not get to use the phone for a week (if that means something to them). I just hate that this lady obviously premeditated the entire situation and videotaped it. In the article I read on people.com, she and her husband claim that this child (Kristoff) has a "special problem -- Reactive Attachment Disorder" and that they don't know "how to handle him." Well, I have a suggestion, get some help. Don't further damage this child (who was adopted and probably has issues stemming from that as well) by brutally punishing him, taping it and sending it to Dr. Phil for all the world to see. Parenting is hard and I am sure that I will have days in the future where I lose it a little bit with my kids. Nobody is perfect and I hope when I have a "moment," that I will be able to step back and take a break before acting irrationally. I certainly won't be reaching for the Frank's Hot Sauce (b/c that sh*t doesn't belong on everything) and my video camera to go an torment/torture my child. I think the Alaska judiciary did right by the child and gave this mother something to think about...she will now forever be branded as a child abuser and will think twice before she comes up with a "creative" discipline solution. Lizzie McGuire is knocked up.